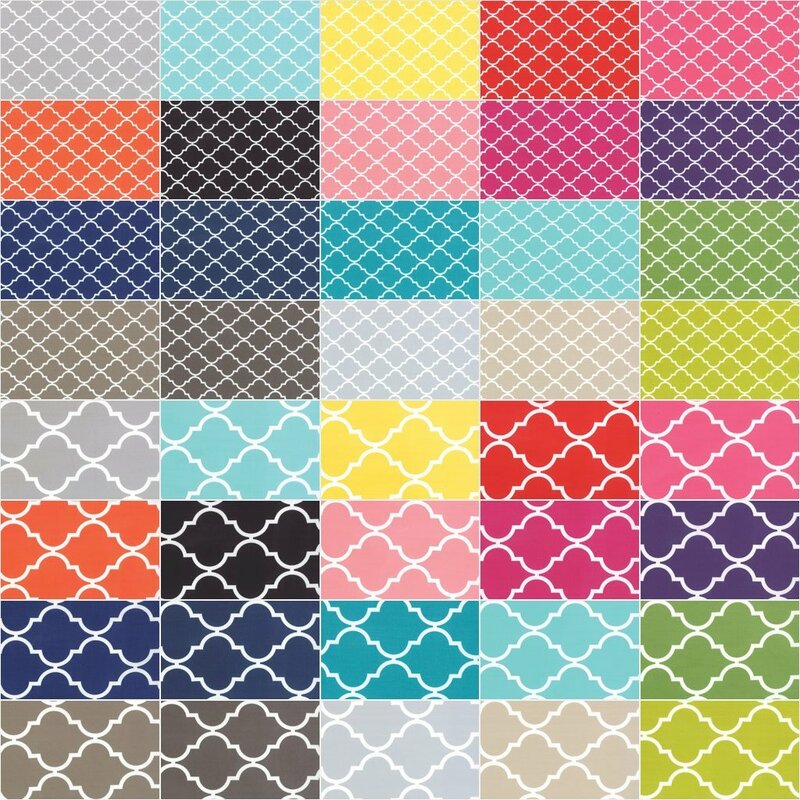 I’ve been a fan of Malka’s amazing geometrics even before I met her in person at quilt market last fall. We immediately hit it off and then were able to reconnect at QuiltCon earlier this year. 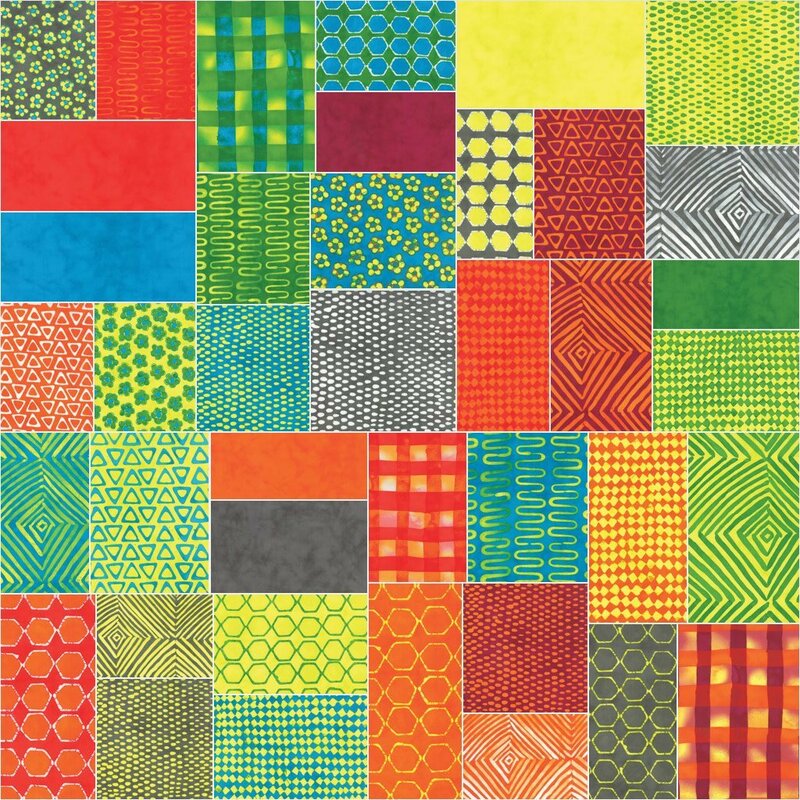 Her style is so great and I’m actually working on a scrappy quilt now, incorporating some of her bright cheerful precuts. I just love them! 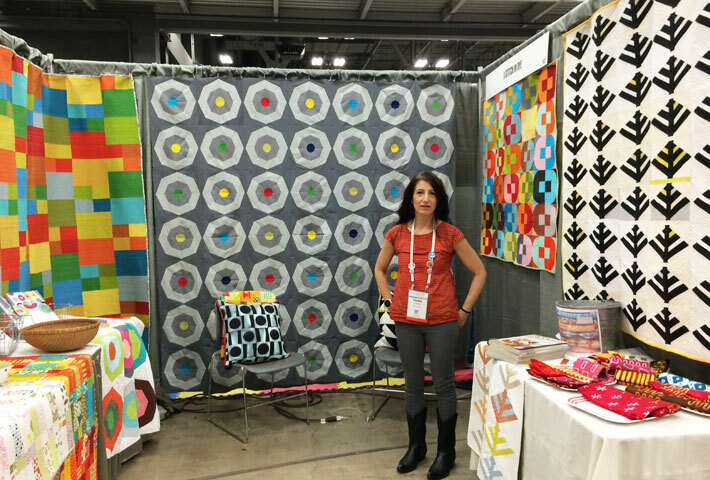 Malka Dubrawsky in her colorful booth at QuiltCon 2015. Speaking of geometrics, I can’t get enough of Quattro! 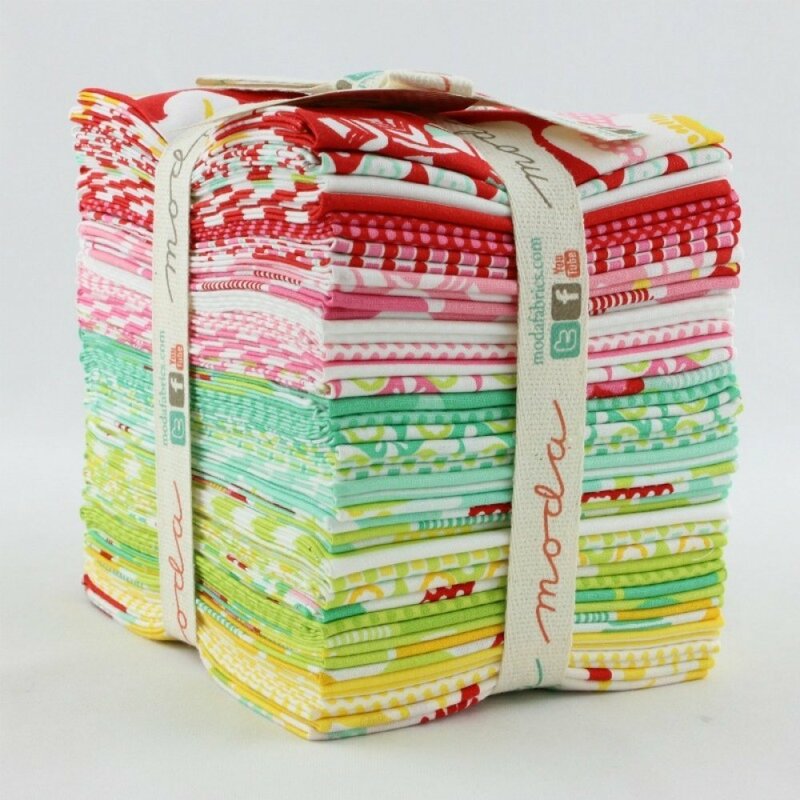 It comes in all the standard precuts we carry: charm packs, layer cakes, jelly rolls and fat quarter bundles. Isn’t it just heavenly? Quattro – in 2 sizes by Studio M for Moda. 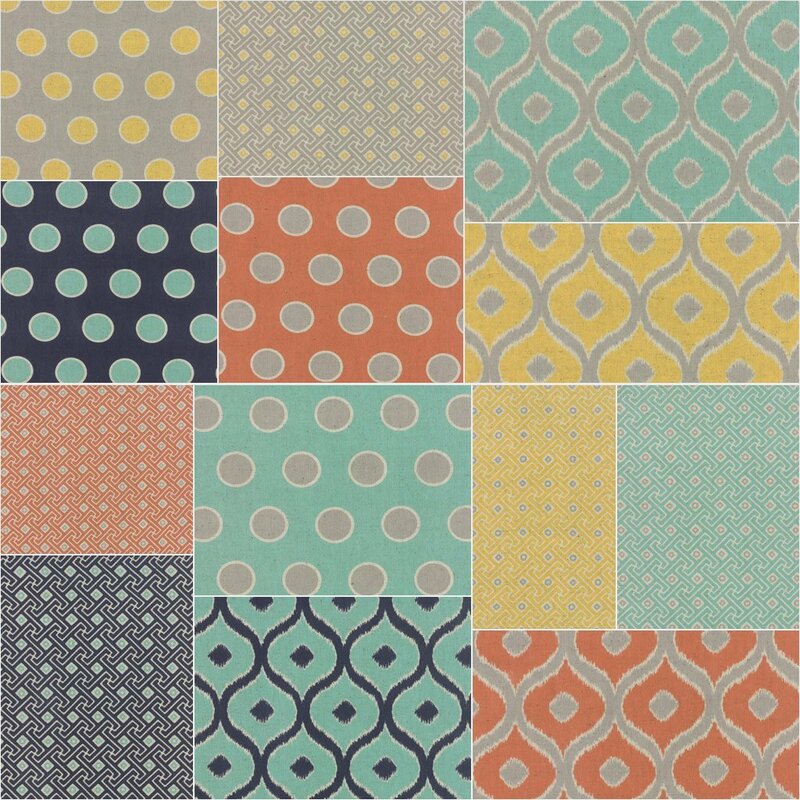 Another modern line I’m dyring to try out is Mixologie, also by Studio M. In addition to regular cotton, it also comes in a linen fat quarter bundle, shown below. I still have yet to try linen, but I just love the texture!! Mixologie in linen – don’t you just love it? Finally, take a look at Moxi. It’s the perfect springtime combination of reds, pinks, yellows, teals and greens! MMM that puts me in the mood for yummy Easter candy….. I don’t know what you have planned for the weekend, but I’m ready to sew (and maybe indulge in some sugary sweet treats)! I Love Writing about Free-Motion Quilting! I had fun meeting Malka at Quiltcon too (she even posed with me for a selfie–I was over the moon! ), so it’s nice to see her fabric featured here. As I scrolled through the blogs the image you have up made me giddy. Thanks Christa for eliciting a bit of a squeal. Wow! They’re all gorgeous but I think my favorite is the Moxi… those colors!! The colors just say HAPPY….and it is Easter. Right!!!! Moxi is so spring feeling and wonderful .